The property briefly compromises of; entrance hallway, front reception room and rear reception room and a kitchen. To the first floor are two double bedrooms and a family bathroom. 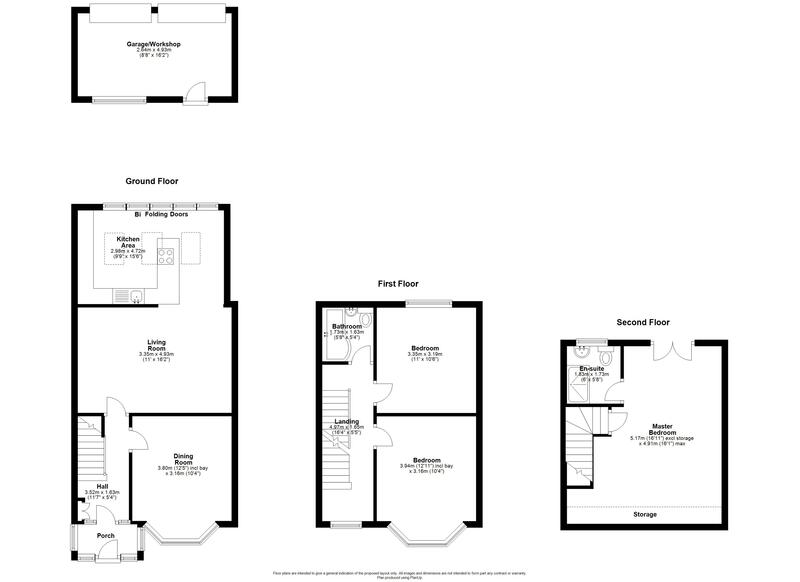 To the second floor is the master bedroom with en-suite bathroom. Externally, there is a driveway to the front, back garden and garage/outbuilding to the rear.